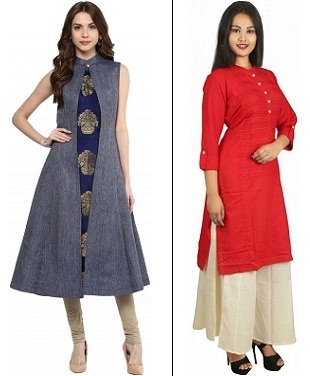 Be it modern or ethnic, stylish or sober - kurtis are what your wardrobe is incomplete without! They are a must-have in the closet of every Indian woman's wardrobe. 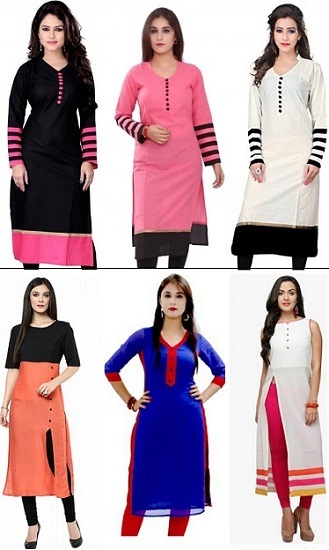 These kurtis are very versatile and can be worn on multiple occasions. With our impressive variety, there is a kurti style for almost every occasion. Choose the right one that compliments your look and team it with suitable accessories to get the perfect winter look. Wear one of these long kurtis with minimal embroidery or work on it along with a pair of pastel coloured leggings. Team it up with a pair of sandals for a versatile look. Add a jhola bag and a pair of Punjabi juttis or kolhapuri chappals to complete the look. 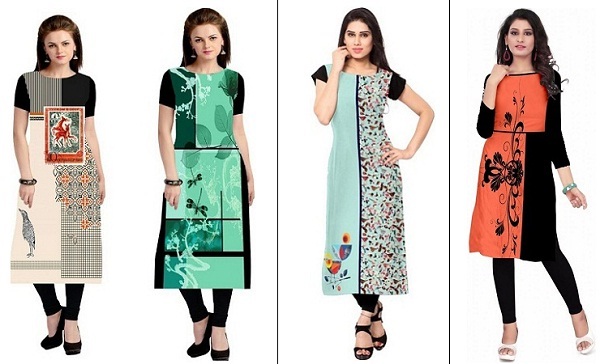 #2 Digital Printed Kurtis - Aren't they just lovely? Take your love for printed kurtis to the next level with these digital print kurtis. There is something distinct about the print of these kurtis which sets them apart from the regular printed kurtis. All said and done- we just love these prints. You can actually buy all of these considering the price at which they are available. If not these, you can have a look at our entire range of digital printed kurtis. If you love prints over solid colours, have a look at these interesting patterns of short kurtis. You can wear them with solid coloured trousers or leggings to work. The bold colours and subtle prints make them an apt choice for work-wear. As the kurtis are printed, avoid wearing any sort of necklace or pendant set along with them. All you need is a pair of cute little tops, earrings or ear cuffs. Kurtis are indispensable in every woman's wardrobe. Be it work or social commitments over the weekend, it is never a bad idea to invest in stylish kurtis. These refreshing kurtis with trendy cuts and patterns are the ones you need to stock in your wardrobe this season. 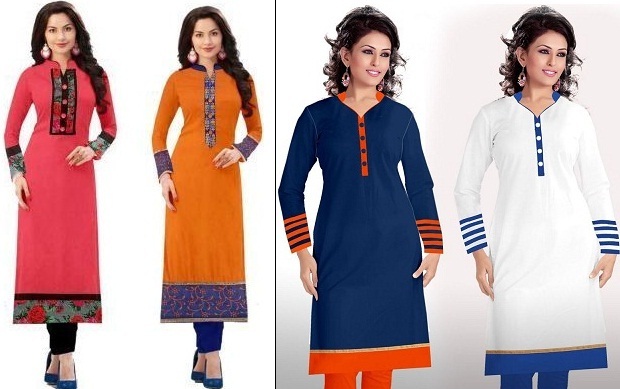 The best part, you get a set of three kurtis at unbelievably low prices.